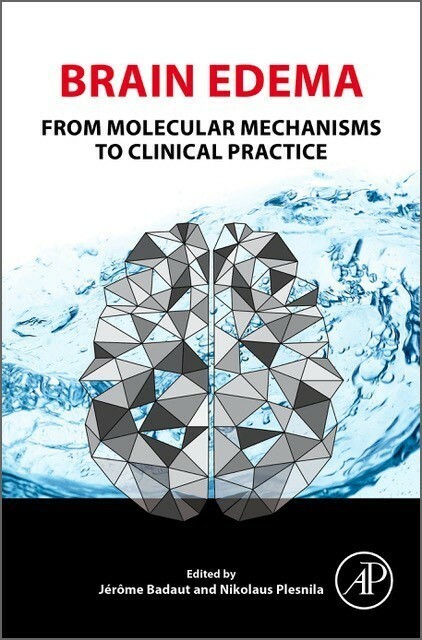 Brain Edema: From Molecular Mechanisms to Clinical Practice brings together the most widely recognized experts in experimental and clinical brain edema research to review the current knowledge gathered on the molecular and cellular pathophysiology and clinical management of brain edema. This timely book also discusses future directions of research and treatment. Brain edema is an integral and acutely life-threatening part of the pathophysiology of multiple cerebral and non-cerebral disorders, including traumatic brain injury, cerebral ischemia, brain tumors, cardiac arrest, altitude sickness and liver failure. 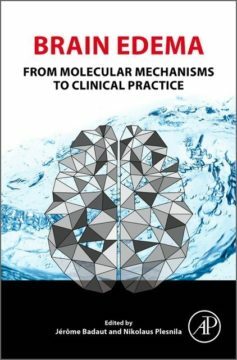 Affecting millions worldwide, research over the past few years has shown that a plethora of complex molecular and cellular mechanisms contribute to this pathological accumulation of water in the brain parenchyma. Sur le site web d’Elsevier …. Dr. Jérôme Badaut received his PhD degree in 1999 in Neuroscience at University of Paris VI (France) after his training in the cerebrovascular field performed under supervision of Prof Lasbennes in the CNRS laboratory of Dr Jacques Seylaz. After a postdoctoral fellowship at University of Lausanne in Prof P.J. Magistretti and Prof L. Regli laboratories, he grew a strong interest on the roles of the astrocytes in neurovascular unit after stroke. He set an international expertise on the role of the astrocytic water channels in edema processes after brain injuries and also in other functions such as brain energy metabolism, when he was group leader in Neurosurgery departments at Lausanne and then Geneva (Switzerland). Then, he started to inquiry the role of neurovascular unit in pediatric traumatic brain injury when he held position of assistant professor in departments of pediatrics and physiology of the school of medicine in Loma Linda University (CA, USA). Dr Badaut is now tenured research officer at The National Center for Scientific Research (CNRS, France) in “Institut des Neurosciences Cognitives d’Aquitaine” (INCIA, UMR5287 CNRS-University of Bordeaux). He is leading the Brain Molecular Imaging group, a multidisciplinary team working on the development of new biomarkers in the field of brain injuries with for focus traumatic brain injury and neurovascular dysfunction.